Finally! A reliable and talented company! I am absolutely speechless! STUNNING illustration. Bloody marvelous! Excellent job - well done! with the birthmark, the clothing and facial hair. Fantastic work! Superlative work. No limits to your extraordinary talents. I absolutely adore these scenes! 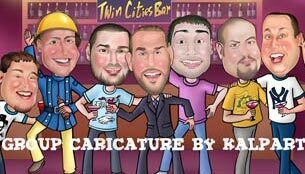 We provide caricatures for Holiday Cards, Real Estate, Corporate Gifts, Personal Gifts, Family gatherings or special occasions, Kids, Groomsmen, Brides Maid or Wedding Cake, Fantasy and Super Hero, Anniversary, Birthday and any other celebrations. 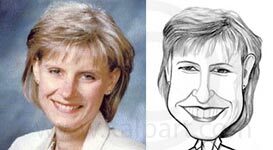 Digital caricatures for wedding, group party, christmas from photos, black and white caricature starting US$12.98 emailed to you in just 4 working days. 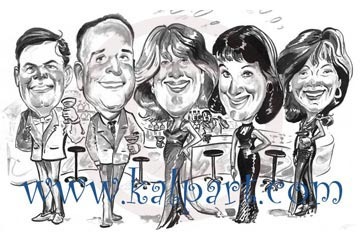 View many different b&w caricature drawings and sketching styles here. 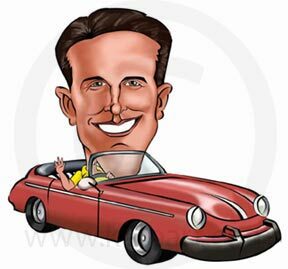 Our printable color caricatures starting US $22.98. Click here to view various styles. 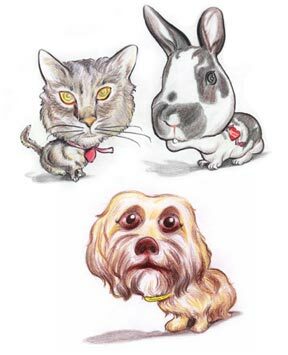 Children book illustrations and Print ready format of Book design by Kalpart can convert your story into a colorful award winning children book. Kids grow very quickly... capture their innocence in a lovely way at a small price. You will always remember those sweet, unforgettable moments. 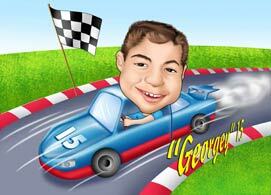 Click here to order kid racing car caricature. Do not want funny face/caricature? 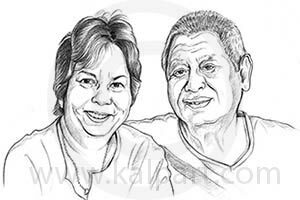 go for a portrait caricature sketches. This will look exactly like your photo, only for $22 per person! To order one like this, click on the photo and choose Buy Now - porpencil4 as your style. 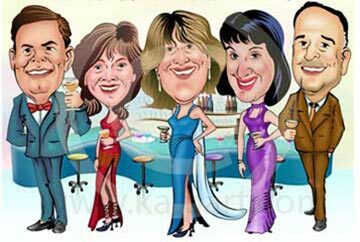 An unforgettable gift like the groomsmen group caricature here. Capture the nostalgic moments as a caricature and savor for the life time. 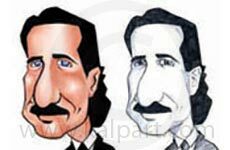 click the caricature and choose Buy Now - CA9 as your style. Also used for T-shirts or photo frames. Labels, or it can be as well used as your logo. Bangkok, Hong kong and Japan. © 2006 and Beyond. 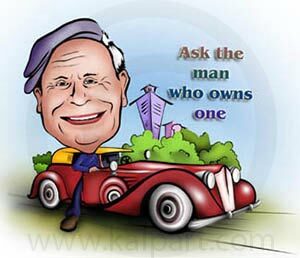 www.kalpart.com. All rights reserved.